It seems quite obvious that digital dwarfs DVD for storing video/audio content while marketing researches figure out DVD still owns a vast number of supporters leading a heavy demand of related software, for example DVD ripper decoder. You may have read many materials which recommend so-called best programs to rip DVD or fix DVD not playing/reading error but feel difficult to pick one up as well. Here, we would like to suggest No.1 fast DVD ripper decoder for you to free download. Additionally, in-depth review and user guide will be attached. 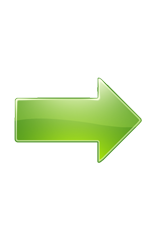 Deliver the fastest speed to decode DVD to MP4, AVI, WMV, MOV etc. with maximally reserved quality on PC/Mac. WinX DVD Ripper Platinum earns its award as the best DVD ripper decoder mainly due to rich features and solid functions, while an ultimate fast speed on DVD ripping and decoding making it be highly praised by users and editors. How Useful WinX DVD Ripper Platinum Is? WinX DVD Ripper Platinum features one-click DVD conversion solution. 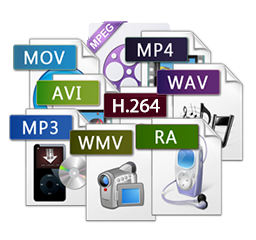 It aims to decode DVD to digital in a diverse of formats, MP4, AVI, WMV, MOV, FLV, 3GP etc, for meeting the requirement to play, edit on PC/Mac successfully or sharing over internet. 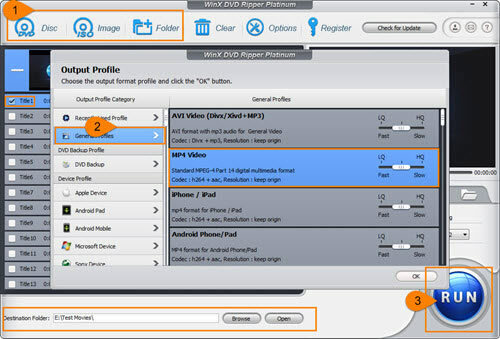 Besides overall mainstream video formats supported, this DVD ripper decoder can extract MP3, AAC, AC3 audios from DVD as well as transfer content of target disc to iPhone, iPad, Android, Windows (10) devices and more while maintaining nearly lossless quality. Unlike some DVD decoders which turn out a futile attempt on tackling commercial DVDs, WinX DVD Ripper Platinum can remove copy protections from DVD in a breeze, not only containing CSS, region code, UOPs, RCE, Sony ArccOS, but complicated Disney X-project DRM or new encryption schemes on latest hit DVD movies. That's because the DVD decrypter updates weekly to enhance the support of the latest DVD decryption. How Fast DVD Ripper Platinum Is? In order to grant a speedy experience, WinX DVD Ripper Platinum builds multiple high-end techs, GPU acceleration powered by Intel/NVIDIA/AMD, Super Encode Engine based on MMX-SSE & 3DNow!, Hyper-threading Tech and Mult-core (up to 8) support to accelerate the whole DVD ripping and decoding process. Put a 90 minute movie DVD into WinX DVD Ripper Platinum and you can get an output in about 5 minutes only, which is proved to beat almost all DVD ripper decoder software in the market. At first, please DOWNLOAD and install WinX DVD Ripper Platinum on your PC (fully compatible with Windows 10 and lower). Following the steps, you can get DVD decoded quickly. If you're using Mac computer, please switch to the Mac version – WinX DVD Ripper for Mac. Step 1. Insert DVD disc into DVD drive on your computer. Launch WinX DVD Rippr Platinum and hit DVD Disc button to load DVD contents. Besides DVD disc, ISO image and VIDEO_TS folder can also be taken as source for decoding. Step 2. All DVD titles will be listed seconds later. Main title will be auto detected and checked. Output Profile dialogue pops up simultaneously. Select one desired format and click OK. Tip: All profiles are classified into different categories, like General Profiles, Device Profile, Web Video Profile, to Music, TS Video and DVD Backup for 1:1 cloning DVD to ISO image, folder and a single MPEG2 file. Step 3. If necessary, hit Browse button to set destination folder for storing decoded DVD file. Then, click RUN button to let this No.1 fast DVD ripper decoder begin DVD ripping process. Come to Free Download the Best DVD Ripper Decoder Right Now! WinX DVD Ripper Platinum - Fast Rip and decode general or commercial DVD movies/TV shows etc, with removal of copy protections to MP4, AVI, WMV, MOV, FLV, MP3, iPhone, iPad, Android, Windows Phone, Surface Pro/Book, Xbox, PS3/4 etc, while keeping possible highest quality. It is also used as a convenient DVD editor to trim/crop/merge DVD videos, manage subtitles, and adjust video/audio parameters.